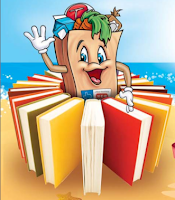 Summer Reading Club - FREE Prizes! H-E-Buddy has a Summer Reading Program. When your child reads 10 books (or a younger child has 10 books read to them) record them, mail it in, then in 3-4 weeks you'll receive "cool" prizes! One prize is a t-shirt! The book list must be postmarked by 10/1/10. Thanks so much for posting this! Our library normally has a similar program, but it was canceled this year. My daughter loves reading for prizes!